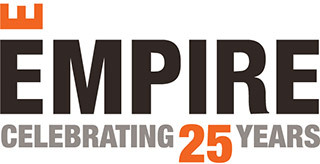 At Empire, we always like to keep on top of relevant policy changes in and around the communities we build that will affect our current and future homeowners. Secondary Plan changes or Regeneration Area Studies give us insights into the future of the area and the environment we can expect to see forming. Our Eau Du Soleil community, nestled along the Humber Bay Shoreline, is a perfect example of a regeneration area that will be experiencing significant investments in infrastructure, including places to work, live and play. Perhaps one of the more significant policy changes we have our eyes on is the Mimico-Judson Regeneration Area Study. Regeneration Area refers to neighbourhoods that the city has decided to focus time and attention revitalizing; they are in need of a face lift in other words. This particular study runs along the GO transit line, West across Portland, South along Royal York, continuing west on Judson street and culminating at Willowbrook Rd. Even if you know the area well, you may not be aware of this pocket of land as it is home to a number of industrial style warehouses that don’t always encourage leisurely exploration. It is areas like this, adjacent to new development, that the city looks for as opportunities to improve the community cohesively. Although not yet approved, the City has developed a conceptual plan illustrating how the area could be developed over time. 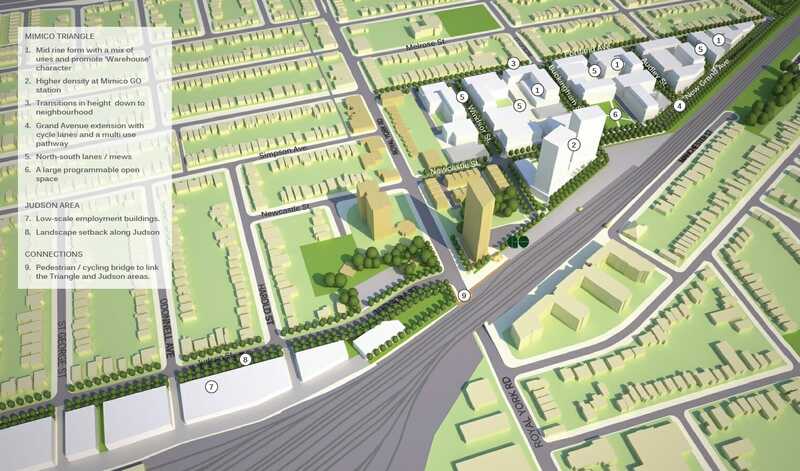 The conceptual plan places mid-rise, mixed-use buildings west of Royal York and higher density surrounding the Mimico GO station. Along Judson Street, low scale employment will be maintained, but updated with setback landscaping. A community park is also included, in addition to an extension of the existing Grand Avenue to accommodate transit. Improvements such as these are great indicators of future increases in property values, as more infrastructure, employment opportunities and community amenities become available. If you’re interested in finding out more about the Mimico-Jusdon Regeneration Area or getting involved in the Secondary Plan approval process, you can visit the City of Toronto website or get in touch with local council or planning staff.